Twins, best friends, Olympians and now business partners, Phil and Steve Mahre still live in the Yakima area. They fondly recall their 1-2 finish at the 1984 Olympics in Sarajevo, but they also keep things in perspective. If it had been a script, Hollywood certainly would have turned it down. Twin brothers finishing 1-2 in an Olympic skiing event, one hour after the gold-medal winner’s wife delivered the couple’s first son a continent away? It would have seemed far too implausible and too perfect. But 34 years ago in Sarajevo, that’s what happened to twin brothers who grew up at White Pass, where their father managed the ski resort. Phil Mahre, who was unquestionably the greatest men’s skier in American history at the time, capped his brilliant career by winning the gold medal in slalom skiing. Steve, who at the time was the second-greatest skier from the U.S., held on for second place. And after his victory, Phil learned during a TV interview that his wife had given birth to their son that day. No American man has won a slalom medal since that day, and it would be a huge shock if the U.S. gets one Thursday in Pyeongchang, South Korea. The Mahre brothers, now 60, have continued to succeed since capping their careers with that 1-2 finish, then retiring weeks later. They raised families, raced cars, started a ski-training center and recently started a home-construction company. They continue to live in the Yakima area, two stars who never acted like it. The Mahre brothers are always together, just like they were on the podium in Sarajevo. They were the fifth and sixth kids of David and Mary Mahre, with Phil being born four minutes before Steve. Didn’t you guys ever fight growing up? “We had one really good one, when we were somewhere between 10 and 13,” Steve said. “We got into it pretty good in the bedroom, and our oldest sister opened the door, and we stopped long enough to yell at her to get out. So she shut the door and we went back at it. I got a good shot in and I made him cry, and it made my cry that I made him cry. Growing up next to a ski resort, and the son of a famed mountain climber, it was inevitable that they would be skiers. But even as kids, it wasn’t the only thing they did. Among other things, they played on the Naches High School football team. For Phil Mahre, that incredible day in Sarajevo wasn’t perfect. It came at a price. In winning that gold, he overtook Steve, who made a couple of mistakes in his second run after dominating the first. And if you understand the relationship the two have, it’s easy to see why Phil has a bit of regret. “When he won, I won, you know,” Phil said. “If it was anyone else, I’d have cared less. But him, that was tough. If there was one race in our career that he should have won, it was that one. Unfortunately it wasn’t and because of it, I kind of always had the upper hand on him. Steve Mahre had dominated the first run. Phil had resigned himself to racing for the silver medal, believing no one could overtake his brother in the second run. Steve anticipated the question about him faltering a couple of words in. “You had to mention that, didn’t you?” he said, giving a bit of a laugh. But while Phil’s joy was muted by his brother’s loss, Steve took solace that it was Phil who had won. And now, after all these years, that day is one of the highlights for both brothers, with Steve earning his only Olympic medal. “We’d finished 1-2 in other international races in the World Cup over the years, but to have it happen on that day — the Olympics only come around every four years and medals are hard to come by — is definitely a highlight, and one I’ll never forget,” Steve said. 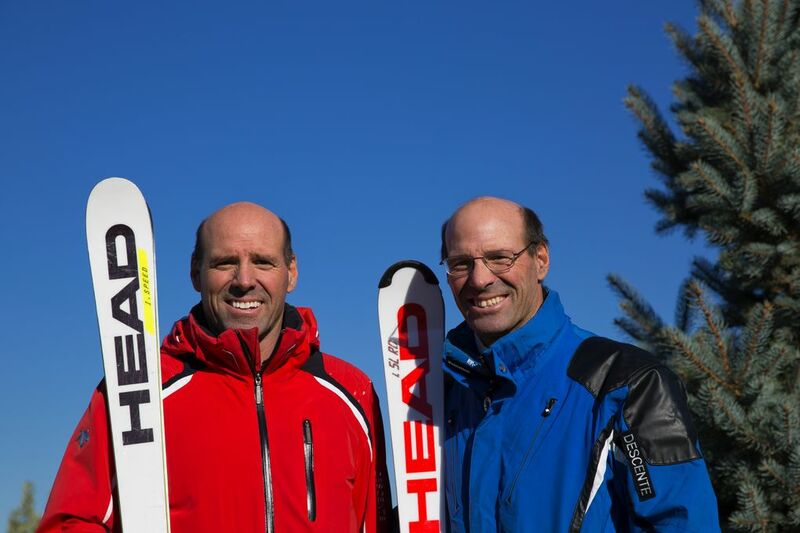 The Mahre brothers began skiing at age 6, and racing at 8. As they moved up each level of competition in the U.S., the twins dominated. At age 15, Phil was moved up to the national team; Steve joined him when he was 16. Despite injuries along the way, Phil finished with three World Cup titles, still the most by an American men’s skier. His 27 World Cup victories were second all-time when he retired. He still ranks No. 11 on the all-time men’s list. Steve won nine World Cups, second only to Phil among American men when he retired. Had there been no Phil, Steve’s accomplishments would have made him the top American skier of all time when he finished. But Steve said that without Phil, he might not have reached the heights he did. Phil first made a name for himself outside skiing circles in the 1976 Olympics, when he finished fifth in the giant slalom at age 18. The following year, he was second in the World Cup standings, then third in 1979 despite suffering a serious injury in March that year. He broke the tibia in his left leg and the joint where it joins the ankle. But there he was at the 1980 Olympics in Lake Placid, N.Y., and if not 100 percent, he was good enough to win the silver medal in the slalom. Steve, meanwhile, was 15th in the giant slalom. And after finishing the World Cup season early that year, the Mahres thought they were done with international skiing. But as late September rolled around, the brothers got the itch again. They returned to World Cup skiing, taking long breaks after each season. It turned out to be the perfect formula for success. Phil won three consecutive World Cup titles from 1981-83, still the most by an American skier. Steve was fourth and third in 1981 and 1982, by far his best finishes. “After taking six months off and giving it another shot, I had the best four years of my career, so I made the right decision,” Phil said. But after both took home medals in Sarajevo, this time they were really done with World Cup skiing. There has never been a regret. The Mahre brothers found a new competitive outlet in auto racing, went to driver school and found success in endurance races, competing at the highest levels. In 1988 and 1992 they competed in the 24 Hours of Daytona, and they still compete in lower-level endurance races in Washington and Oregon. They also did some dirt-bike racing, and Phil even made a short-lived skiing comeback at age 49, finding success while trying to qualify for the U.S. National Championships. He might well have done it had he not suffered a knee injury that ended the return. The brothers also stay busy with business interests. They have run the Mahre Training Center since 1985, doing ski camps and corporate outings out of Deer Valley, Utah. And then, when Steve’s son Andy, who was working in the ski business, was out of a job when K2 was sold last year, he talked to his dad about helping frame houses. This past year, the Mahres framed four houses, and “we did the siding and put the windows in on two of them,” Steve said. Phil is taking a bit of time off after recent knee surgery, but Steve is staying busy and says his son gets nervous seeing his dad on roofs at age 60. But Steve has a quick retort. Phil and Holly ended up having three kids and four grandkids. Steve has two children and two grandchildren. 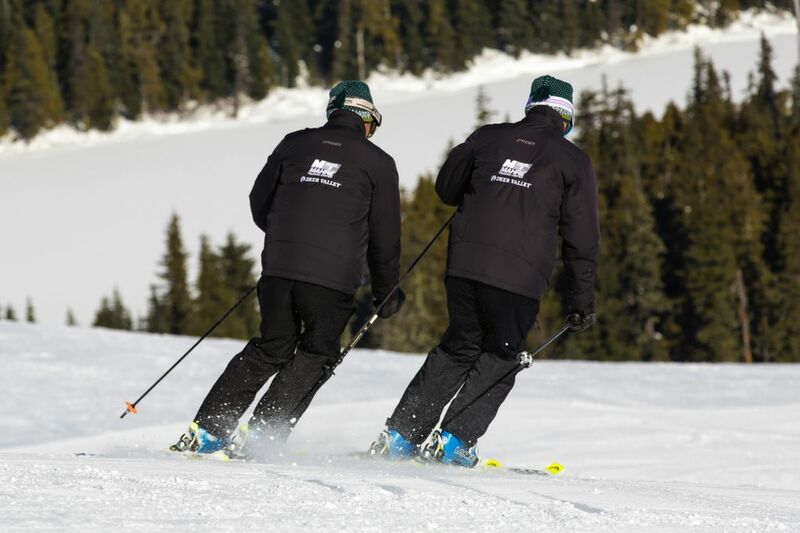 Among their favorite things is helping teach their grandchildren to ski. Phil estimates he is on the slopes 70 to 80 days a year, about 80 percent of that time working with their ski school and rest of the time with the grandkids and to have fun. For Steve, watching his 10-year-old grandson on the slopes is great fun while also hard on the nerves. The Mahre brothers still enjoy watching Olympic skiing, even if their reserved style after victories is no longer in style. 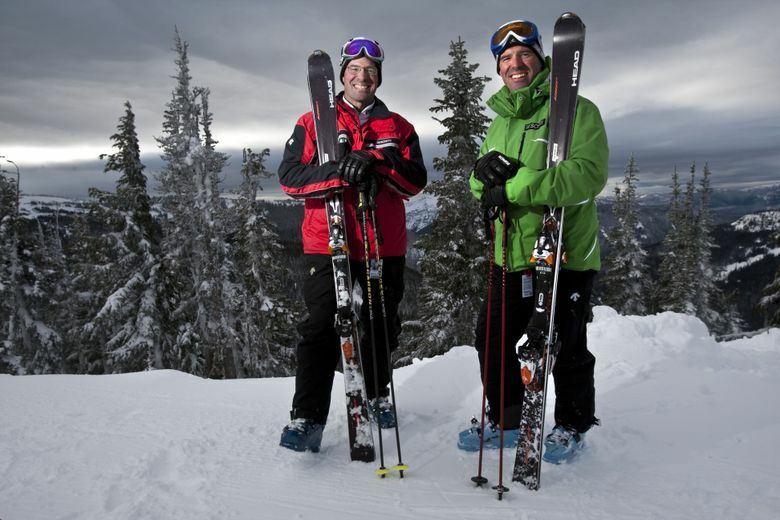 The sport has changed as well, Steve said, with better equipment and the snow being harder. Thirty-four years ago, the field was blown away by the Mahre brothers. 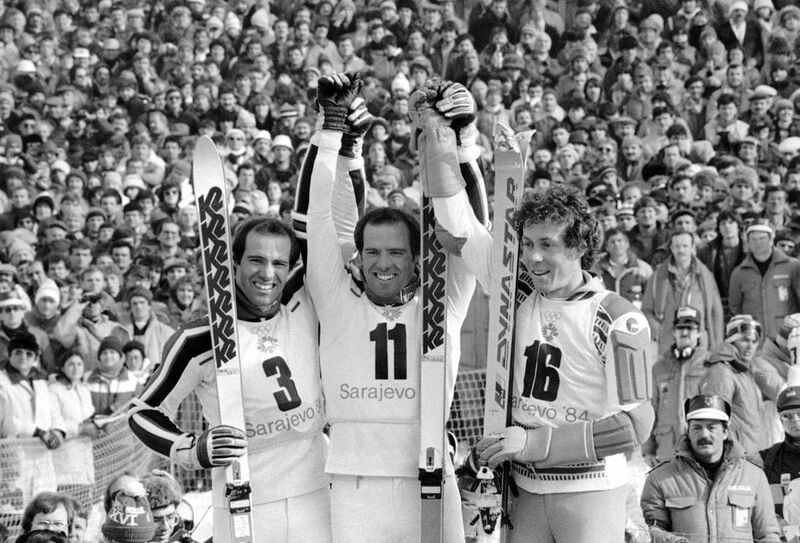 The 1-2 finish in the slalom cemented their legacies in skiing history. Phil had an Olympic gold to complement his great career, and Steve would now end his illustrious career with an Olympic medal as well. A dream come true? Not exactly. For the Mahre brothers, it was never just about that. The Mahre brothers, despite short careers and fewer events than today, still rank among the top five American men in all-time World Cup wins.